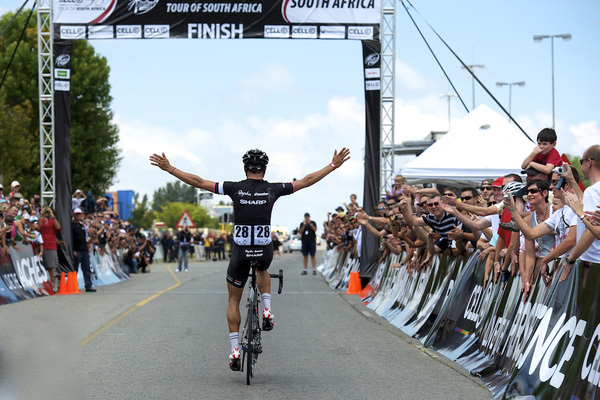 Kristian House (Rapha-Condor-Sharp) has maintained his lead in the Tour of South Africa with just two stages remaining. After stage two was neutralised due to traffic problems on the course, House defended his lead by joining stage three’s decisive breakaway which formed on the run in to the finish at Summer Strand. Team Europcar’s Yohann Gene sprinted to victory, but House finished in fifth and, most importantly, his overall lead of 2’22”, forged with a solo escape on the opening day, remained intact. House was again part of the lead group on stage four, a 153km ride from Bloukrans Bridge to George. He surprised many by attacking his eighteen breakaway companions on a small climb with 7km remaining; however he was quickly reeled in. D’Angelo & Antenucci-Nippo’s Davide Torosantucci made his attempt for glory in the closing five kilometres, and the Italian soloed to individual stage victory. House did not contest the sprint for the minor placings, content to cross the line in eleventh place. House’s nearest GC contender, Daryl Impey (MTN Qhubeka), was also in the breakaway, and finished ninth. Soaring temperatures of 36 degrees greeted the peloton this afternoon, and after a six-man breakaway group was reeled in, a bunch sprint finish was inevitable. House crossed the line safety in twenty-fifth, while rival Impey finished second to stage winner Bernardo Ricco (D’Angelo & Antenucci-Nippo). House’s biggest test comes tomorrow, with four climbs lining the 140km penultimate stage from Hermanus to Stellenbosch. 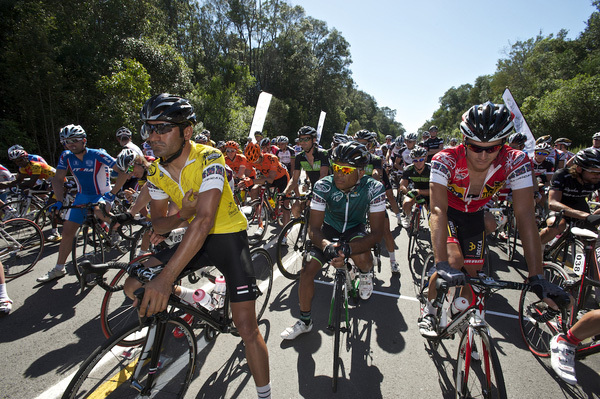 The riders will tackle the Botriver, the Elgin Valley and the first-category Franschoek Pass before finishing at the top of the Helshoogte Pass, a second-category climb. With the race ending on Saturday with a circuit race in Paarl, Rapha-Condor-Sharp will be looking to control the race as well as they have done so far to ensure House stands on the top step of the podium in two days time.